What does SER have to offer to it’s members? Why do our members continue to renew their membership each year? 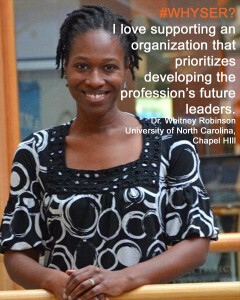 Hear from our members! 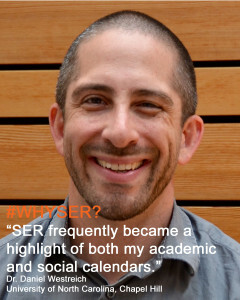 Click here to learn more about becoming a member of SER. Since completing my MPH, SER is my primary source for continuing education. 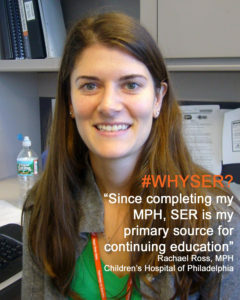 I was introduced to SER last year when I told a colleague I wanted to learn new methods and expand my skills. I first tuned in to SERdigital – two engaging lectures by experts in the field followed by presentations by doctoral students on related topics. It was incredibly exciting to be learning again. I attended the annual meeting for the first time in 2016 and left energized with tons of notes, ideas about applying the new concepts I had learned to my work, papers to read and an expanded network of contacts. The resources available through SER enable me to perform my job better and keep me intellectually stimulated. I first attended SER in 2009, during my postdoc – a late bloomer, I guess – but it immediately felt like home. SER frequently became a highlight of both my academic and social calendars. Perhaps my best endorsement is that I never leave SER with my voice intact: between the loud and raucous energy of the poster sessions, the high-intensity hallway convers-arguments, and the endless laughter, I am hoarse from a day into the meeting until four days afterwards. 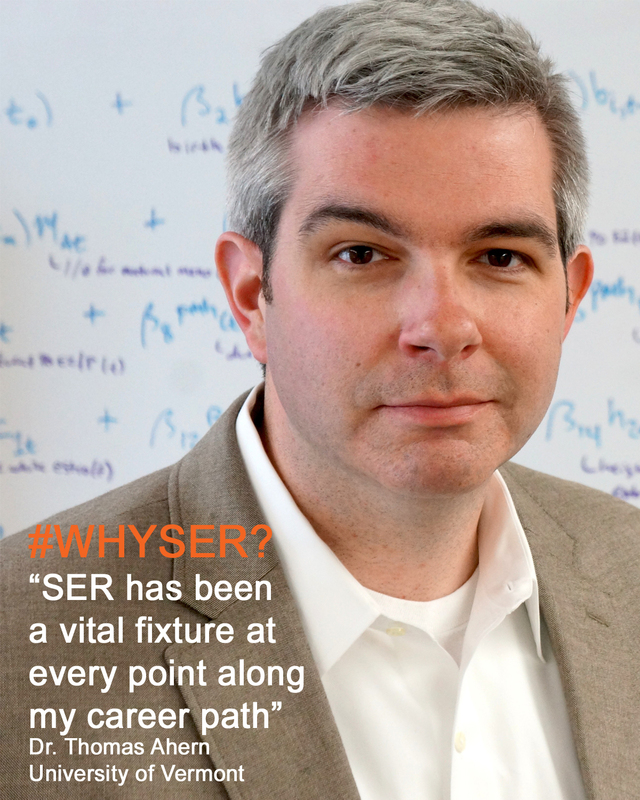 SER has been a vital fixture at every point along my career path, and is more important to me now than ever before. 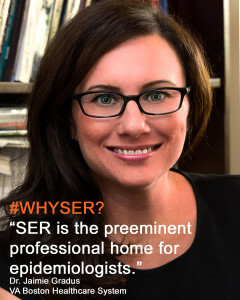 As a junior faculty member at a smaller institution with no school of public health, SER has become my home base for presenting research, staying current with methodological developments, hatching collaborative projects, and connecting with other epidemiologists. No other society has offered quite so much for my professional development. 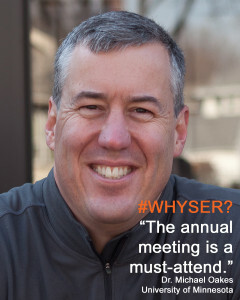 The SER annual meeting is the only scientific meeting I attend where I am able to rub shoulders with like-minded and similarly trained individuals with whom I can discuss methodological challenges; it’s where I can develop my craft through attending high-quality scientific sessions and workshops on topics not available at my other scientific meetings; and it’s where I can expand my network and “recruit” others to participate in my content area. As one of relatively few epidemiologists working in oral health, these benefits of membership are vital to maintaining my status as a card-carrying epidemiologist. On a more social level, it provides opportunity to re-connect with those friends that I trained with and those that I learned from. I look forward to it every year! 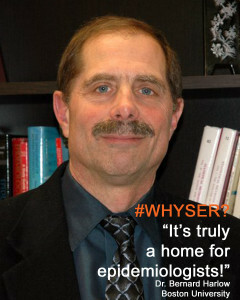 SER is the most important professional association for epidemiologists. Topic-specific associations are fine, but the methodological orientation of SER is vital and can’t be beat. Membership not only keeps me up to date about scientific advances and professional development — AJE, Epi Reviews, SERnews, and more recently social media (@societyforepi) are outstanding outlets — the annual meeting is a must-attend. 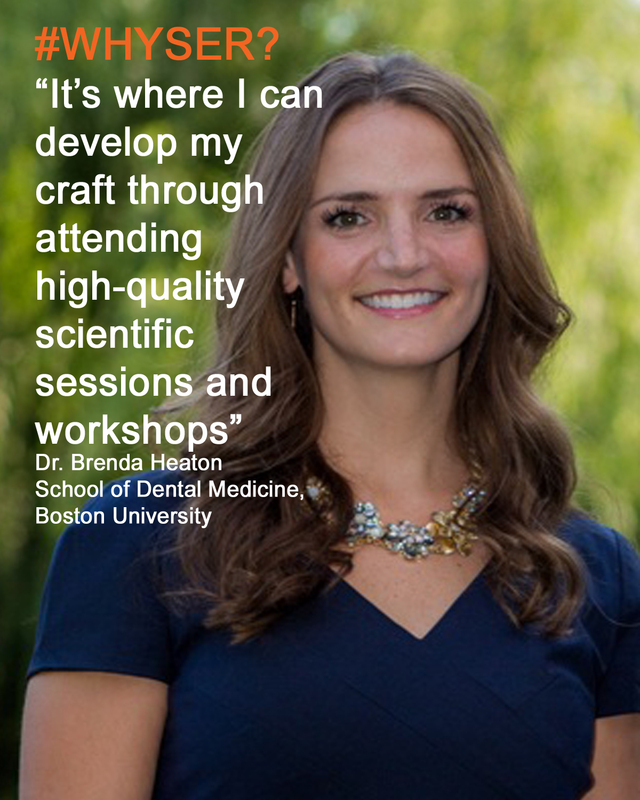 Not only have I enjoyed presenting at the meetings, I have learned a lot by listening and interacting with others. What is more, I have made and maintain some great friends through the association. Recent student-focused initiatives make me proud to be a longtime SER member. 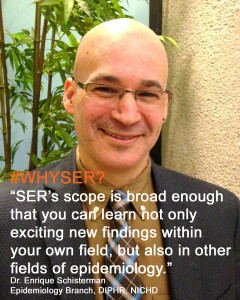 SER provides a space for epidemiologists of all ranks to engage in conversation about the state-of-the-science in the field. 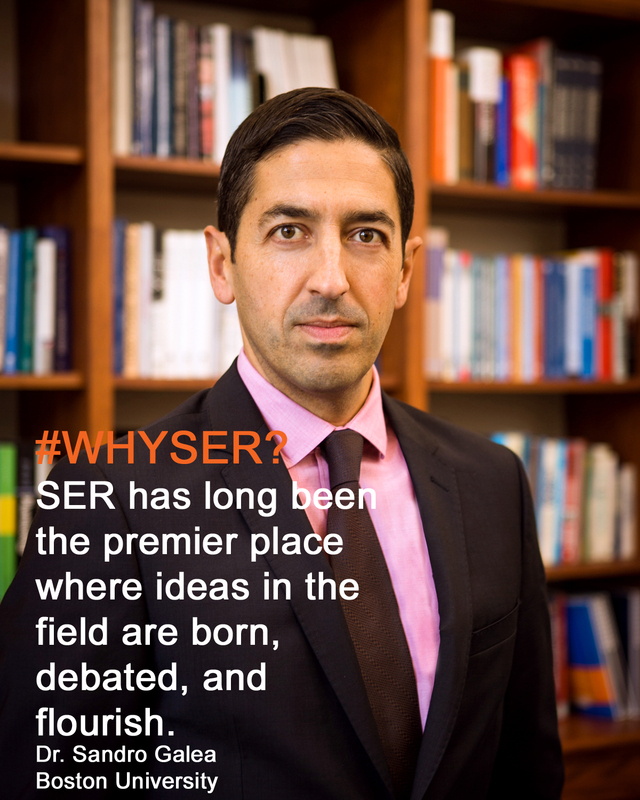 In doing so, SER has long been the premier place where ideas in the field are born, debated, and flourish. That makes SER an exciting and dynamic organization. It has always been a privilege to be a part of SER.